Time to use those eggs to play some Easter egg games! •Have half of each group stand at a line drawn about 10′ away from the first group. 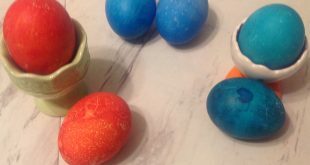 •Each team is given a dyed Easter egg and a wooden spoon to carry it on. •The team members race to the other line carrying the egg on the wooden spoon. If the egg should fall off the spoon, the team member must pick it up with the spoon. No hands. • The teams exchange the egg and spoon until all team members have carried it across a line. •The first team to have its’ last team member carry the egg over the line wins….if the egg has not been broken. Variation: Players carry the egg on a partialy filled water ballon. •Roll a white egg into the middle of the room or lawn. Players see who can roll their egg closest to the white egg without hitting it. •Each player is given an egg that they will roll to the finish line using their nose to push it. •The players divide into groups of two. •The first team member gets a basket. The second team member is the hound. The “hound” searches for the eggs and howls when he finds one. •The first team member runs to the hound, collects the egg, puts the egg in the basket and then returns to the starting line. •The team with the most eggs win. 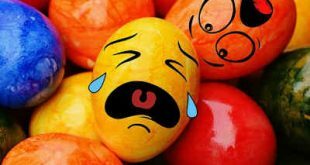 •Try to sneak up on somebody and crack your egg over his head. •A simple game where players hit the ends of their eggs together until one cracks. The player whose egg didn’t crack claims the other player’s egg and continues to challenge other players. •Have the groups from two lines. •Have the players face each other and each player takes a big step back. •A raw egg is given to each member in one of the lines. •At the signal “toss” the players toss the egg to person standing across from them. If the egg is dropped, the team is eliminated. •After each toss, remaining players take another step backwards before the next toss. •Players repeat tossing, eliminating those who dropped the egg, and taking one step back until only one team remains. Rate for usefulness and quality. Do you want more information on this topic or have a new article suggestion? Please click on the contact button and tell us. When harvesting peppers and eggplants use a clipper to cut off vine. Never pull as it may damage plant.